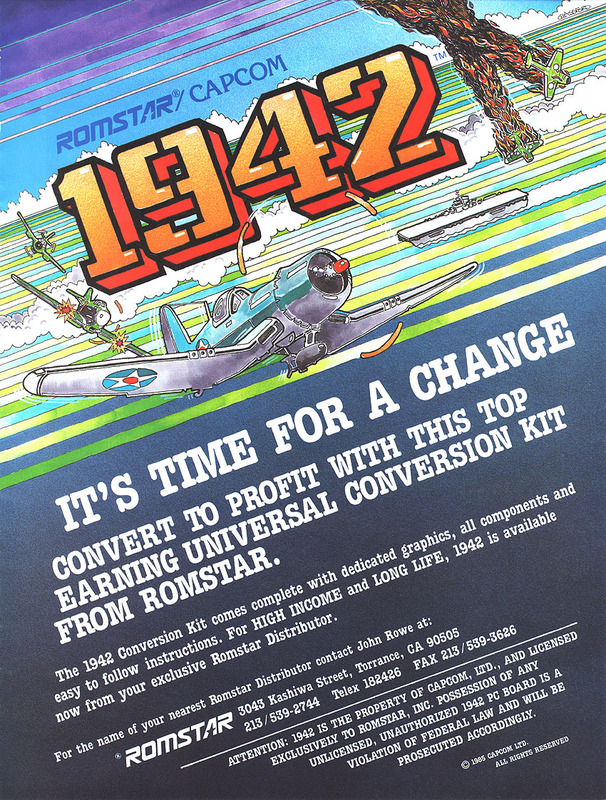 Краткое описание: 1942 is set in the Pacific theater of World War II. The goal is to reach Tokyo and destroy the entire Japanese air fleet. The player pilots a plane dubbed the "Super Ace" (but its appearance is clearly that of a Lockheed P-38 Lightning). 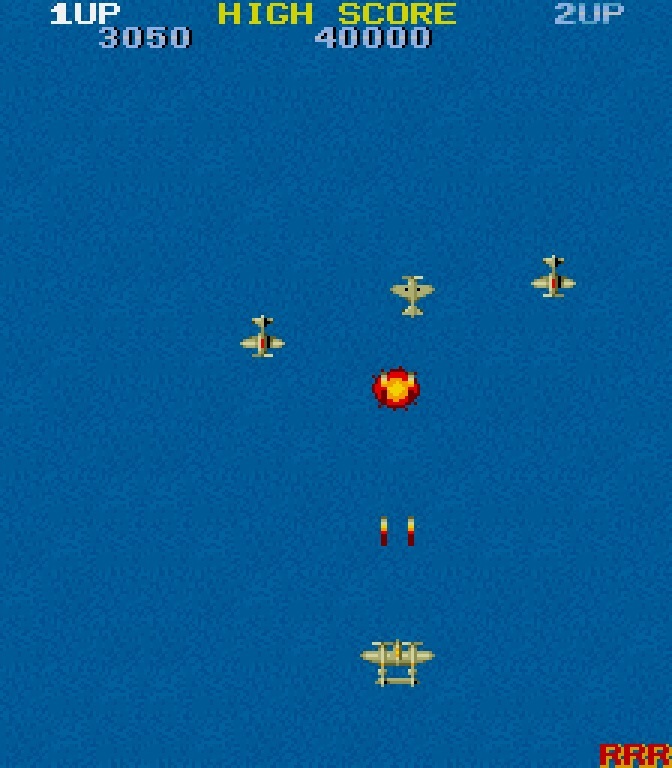 The player has to shoot down enemy planes; to avoid enemy fire, the player can perform a roll or "loop-the-loop". 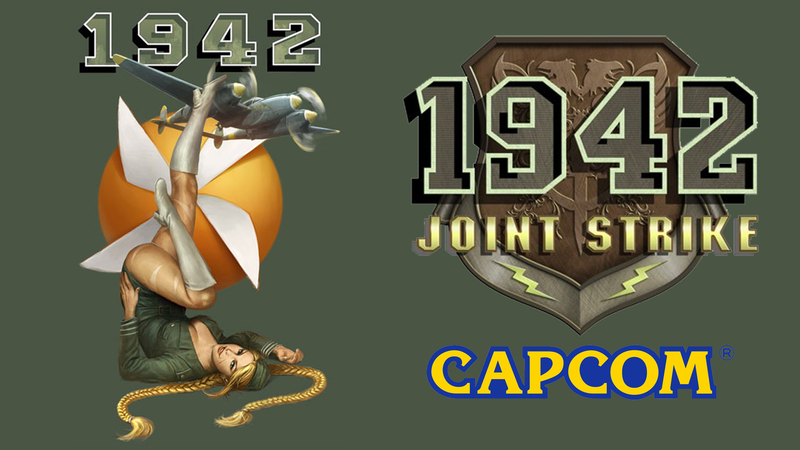 1942 is set in the Pacific theater of World War II. The goal is to reach Tokyo and destroy the entire Japanese air fleet. 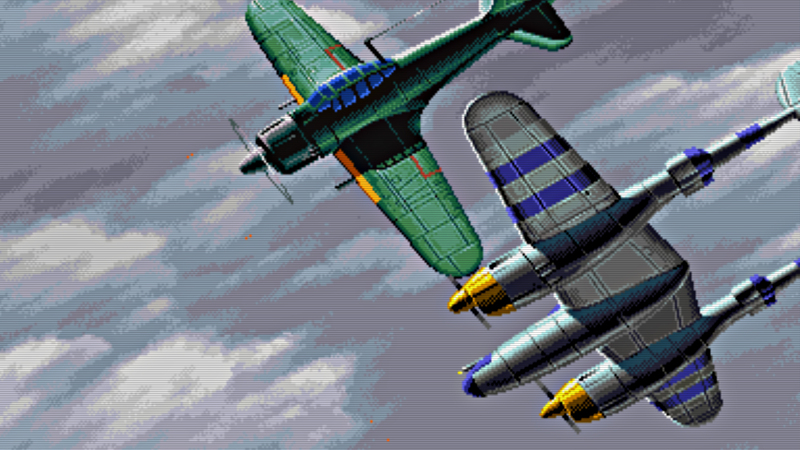 The player pilots a plane dubbed the "Super Ace" (but its appearance is clearly that of a Lockheed P-38 Lightning). 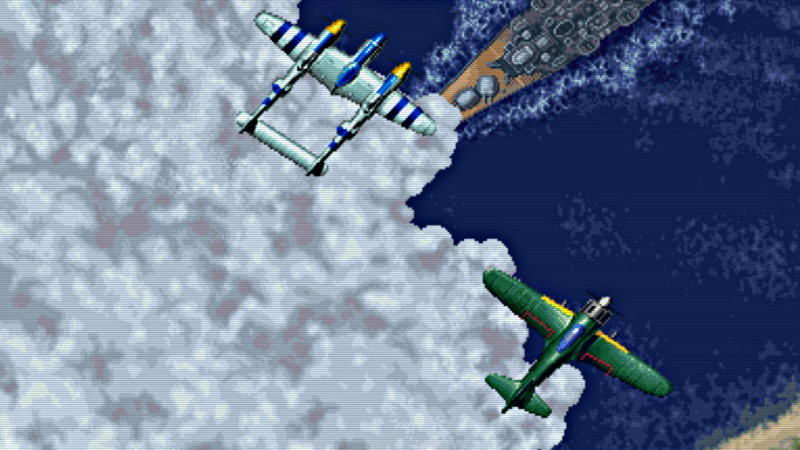 The player has to shoot down enemy planes; to avoid enemy fire, the player can perform a roll or "loop-the-loop".